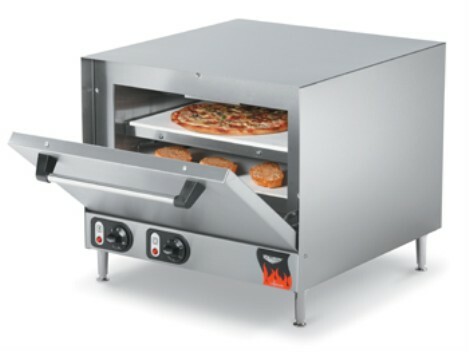 Provide fresh baked pizzeria-style pizzas with this countertop version of a pizzeria deck oven. The even heat of the hearth stones and the higher temperature capability of this oven combine to make crisp, light, evenly-baked pizzas. Fresh hearth-baked pizzas create a distinct presentation and command a higher price than pizzas made in a countertop wire rack pizza oven.